A crown (cap) is a restoration that is placed on teeth that have lost a lot of their structure. There are various types of crowns, ranging from full porcelain to full metal. Your dentist will explain the advantages and disadvantages of each kind for you. A crown (cap) is a restoration that is placed on teeth that have lost a lot of their structure. There are various types of crowns, ranging from full porcelain to full metal. 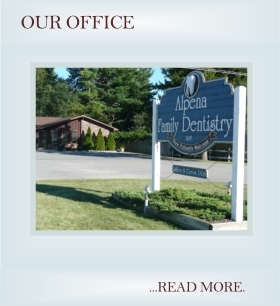 Your Alpena Dentist will explain the advantages and disadvantages of each kind for you. 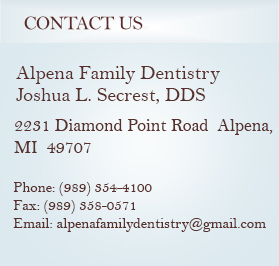 If you live in or around Alpena give us a call today to schedule your appointment.